Can be edited for younger or older learners. Define photosynthesis. 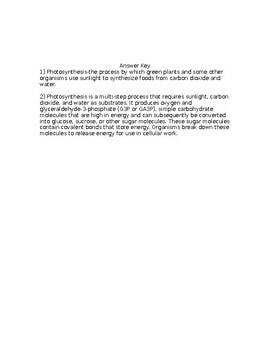 Describe the process of photosynthesis. 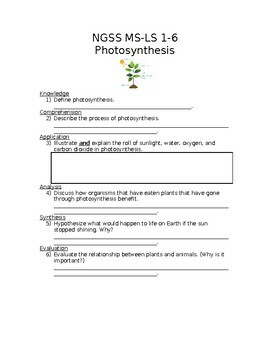 Illustrate and explain the roll of sunlight, water, oxygen, and carbon dioxide in photosynthesis. 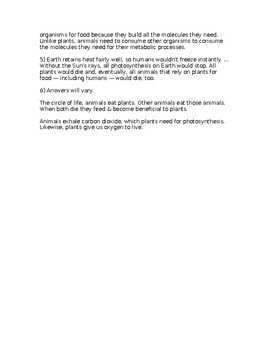 Discuss how organisms that have eaten plants that have gone through photosynthesis benefit. Hypothesize what would happen to life on Earth if the sun stopped shining. Why? 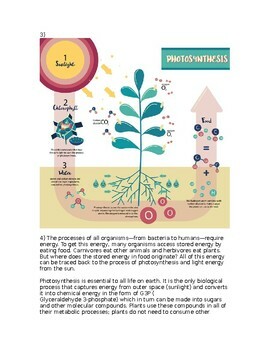 Check out my NGSS MS-LS 1-6 Photosynthesis PowerPoint for a resource.